Logar (Pashto: لوګر‎; Dari: لوگَر‎‎) is one of the 34 provinces of Afghanistan, located in the eastern section of the country. It is divided into seven districts and contains hundreds of villages. Puli Alam is the capital of the province. The word of Logar is a combination of two Pashto words: Loy (لوى "Big") and Ghar (غر "mountain"). The Logar River enters the province through the west and leaves to the north. 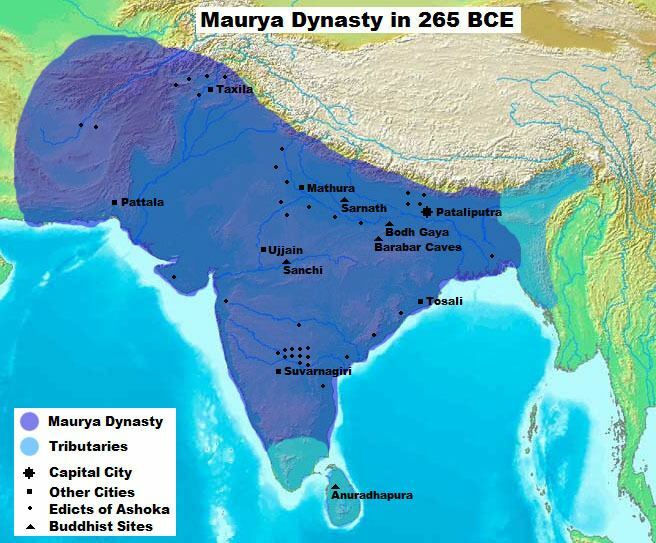 The Logar province territory fell to the Maurya Empire, which was led by Chandragupta Maurya. The Mauryas introduced Buddhism to the region, and were planning to capture more territory of Central Asia until they faced local Greco-Bactrian forces. Seleucus is said to have reached a peace treaty with Chandragupta by giving control of the territory south of the Hindu Kush to the Mauryas upon intermarriage and 500 elephants. Having consolidated power in the northwest, Chandragupta pushed east towards the Nanda Empire. 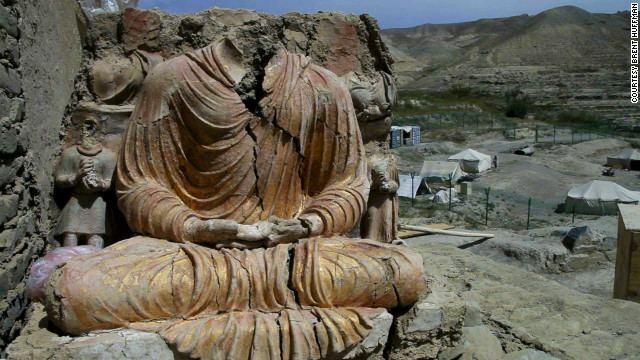 Afghanistan's significant ancient tangible and intangible Buddhist heritage is recorded through wide-ranging archaeological finds, including religious and artistic remnants. Buddhist doctrines are reported to have reached as far as Balkh even during the life of the Buddha (563 BCE to 483 BCE), as recorded by Husang Tsang. During the Soviet war in Afghanistan, Logar was known among some Afghans as the Bab al-Jihad (Gates of Jihad) because it became a fierce theatre of war between US-backed/trained mujahideen groups and the Soviet-backed Afghan government troops. It was one of the main supply routes of mujahideen rebels coming from Pakistan. Like other parts of the country, Logar has also seen heavy fighting during the 1980s. Swedish journalist Borge Almqvist, who visited the province in 1982, wrote that: "Everywhere in the Logar province the most common sight except for ruins are graves". Soviet operations included using bombing, the use of flammable liquids to burn alive people in hiding, poisoning of drinking water, and destruction of crops and farmland. One writer who witnessed the events argue that the Soviet actions in Logar amounted to genocide. Some of the notable rebel fighters were Fazlullah Mujaddidi, Sayed Rasool Hashimi, Malim Tor, Mohammad Wali Nasiri, Taher Shirzad, Asadullah Fallah. By 1995 the province had fallen to the Taliban government. After the removal of the Taliban and formation of the Karzai administration in late 2001, the International Security Assistance Force (ISAF) and Afghan National Security Forces (ANSF) gradually took over security of the area. The Provincial Reconstruction Team Logar (PRT Logar) was established in March 2008. It provided a number of benefits to the locals, including security, development, and jobs. In the meantime, Taliban insurgents are often causing major disturbances in the area. This includes major attacks on key projects, suicide bombings in civilian area, and assassinations of Afghan government employees. On 19 August 2014, a major Taliban offensive took place with 700 militants aiming to take control of the province, while the NATO-led foreign force mistakenly killed three civilians in an air strike in December 2014. 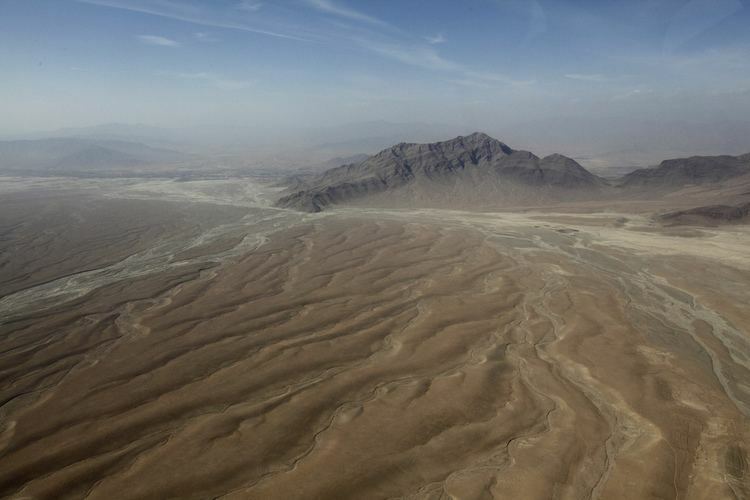 Logar can be generally described as a relatively flat river valley in the north and central regions, surrounded by rugged mountains to the east, south, and southwest. The district of Azra, in the east, consists almost entirely of mountains, while travel to the Paktia Province to the south is limited to the Tera Pass, a 2896 m high road that was recently completed as part of the international reconstruction effort in Afghanistan. The Kabul-Gardez Highway runs north-south through Logar Province, from the Mohammed Agha District south to the Paktiya Province border. Although the government of Afghanistan recognizes the Azra district as being in Logar, many widely accepted maps include it in the Paktia province to the south. The last governor of the province was Arsala Jamal. He was assassinated by anti-Afghan forces, often described as Taliban militants. All law enforcement activities throughout the province are managed by the Afghan National Police (ANP). The border with neighboring Pakistan is monitored by the Afghan Border Police (ABP). A provincial police chief is assigned to lead both the ANP and the ABP. The Police Chief represents the Ministry of the Interior in Kabul. The ANP and ABP are backed by the military, including the NATO-led forces. Logar's capital is the city of Puli Alam, located in the district of the same name. It sits on the main road running from Kabul south to Gardez and Khowst province. 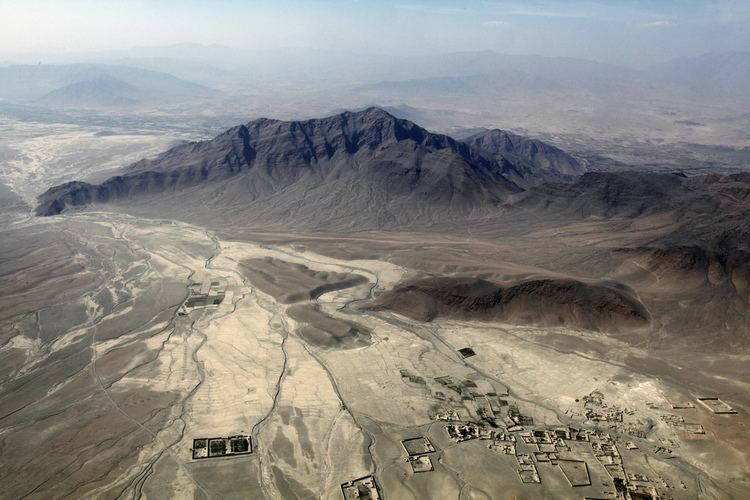 Puli Alam has seen reconstruction since the fall of the Taliban. The main road to Kabul was completed in 2006, significantly reducing travel time to the national capital. Additional projects include numerous schools, radio stations, government facilities, and a major Afghan National Police base situated just south of the city. Like most Afghan cities, there is little municipal planning or services. Electricity is provided by diesel generators, and wells are the primary source of drinking water. The overall literacy rate (6+ years of age) increased from 21% in 2005 to 30% in 2011. The overall net enrolment rate (6–13 years of age) increased from 22% in 2005 to 45% in 2011. The overall literacy rate in Logar province was 21% in 2005 however, while nearly one-third (31%) of men are literate this is true for just under one-tenth (9%) of women. There are around 168 primary and secondary schools in the province catering for 81,538 students. There are nearly 2,082 teachers working in schools in the Logar province. There are several girls schools in the province, mostly located in Koshi and Pul-e-alam. Due to the large Taliban presence in Chark and Baraki Barak, the freedom of women in Logar does not always allow for an education. As of 2007, the province had a literacy rate of 17%. 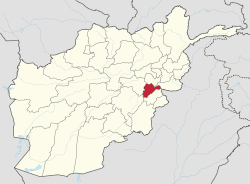 As of 2013, the total population of Logar province is about 373,100, which is multi-ethnic and a tribal society. About 60 percent of Logar's residents belong to the Pashtun group; Tajiks and Hazaras form the remainder of the population. Until 2005 the district was administratively subdivided into five districts. 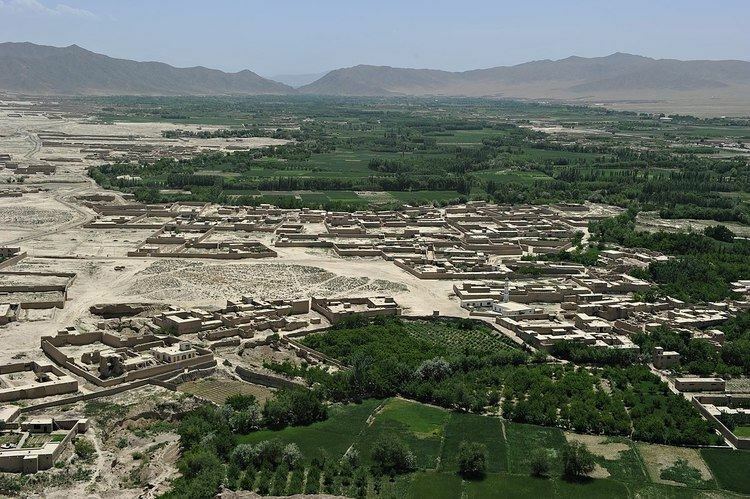 In that year the province gained Azra District from neighbouring Paktia Province; also part of Charkh District was split off into the new district of Kharwar. Cricket is the most popular sport in the province. Logar has been a major supplier of players for the Afghanistan national cricket team. Former players include Dawlat Ahmadzai, Ahmad Shah Pakteen and former national team captain Raees Ahmadzai. Among the active national players hailing from Logar are: Mohammad Nabi (captain of the national team), Shahpoor Zadran, Hashmatullah Shahidi, Nasir Jamal Ahmadzai and Gulbadin Naib Ahmadzai. Football is the second most popular sport in the province. De Abasin Sapih (meaning "Weaves of Abasin") plays at Afghanistan premier league. Abasin means "the father of the rivers" in Pashto language and refers to the Indus River. The team represents the provinces of Paktia, Logar, Paktika and Khyber Pakhtunkhwa.